The Touchstone DOCSIS 3.0 32x8 Cable Modem CM3200 delivers over a Gigabit per second of raw speed. The CM3200 is well-suited to the home user –offering the speeds to stream multimedia content to multiple devices and the responsiveness to keep you “in the game” for online gaming. 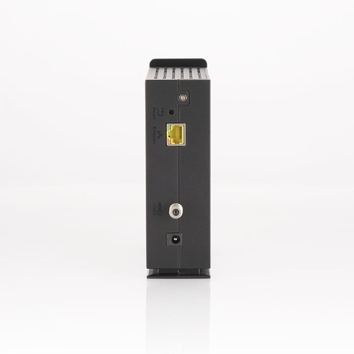 However, the CM3200 is also a serious commercial solution, ready to meet the challenging demands of small business with its Business Services over DOCSIS (BSoD) support.